First ration mix of this new Lely Vector in Alberta Canada. 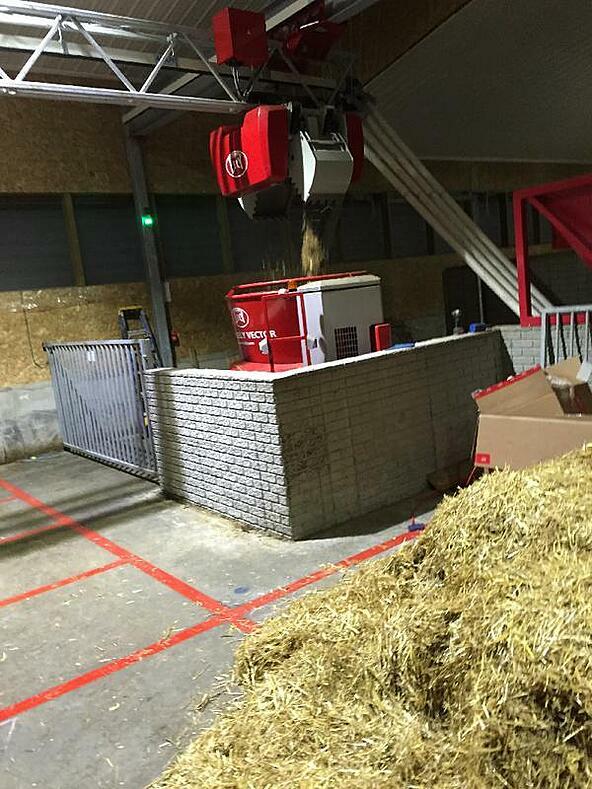 The latest North American Lely Vector automatic feeding system has been installed in Alberta, Canada, as pictured. On average, farmers spend 700 hours per year per 100 dairy cows. This is a little bit less than two hours per day. With the Lely Vector, you are only required to pay attention to feeding the cows once every three days. Thirty-five percent of the Lely Vector-fed farms find time-savings as they spend less than 208 hours of labor per year feeding cows. The Lely Vector system allows for 24/7 fresh feed and it is brought to the cows multiple times a day -- the highest return on your feed investment. With a normal pattern, a healthy cow will naturally consumer 8 to 12 meals a day. The constant delivery of well-mixed , fresh feed by the Lely Vector system will encourage cows to consume more and also provide ample opportunity for low ranking animals to eat. What is the effect of 24/7 fresh feeding? Lely research shows that on average Vector-fed farms increased milk production up 1.9 litres of milk/day. This is when we compared one year before with one year after start-up with the Lely Vector. Combine the Lely Vector automatic feeding system with a Lely Juno that pushes the feed forward and in between rounds. Learn more about the Lely Vector by viewing this brochure!